Prev Vintage Clock Radio Planters for Dad! Next Yummy Gummy Candy Summer Drinks for Kids! When your kids reach the tween and teen ages, family trips and vacations can become a bit more challenging. I know my two boys, currently ages 14 and 16, are increasingly less interested in theme parks and other one-stop destinations, so our solution has been to explore different cities with them. Our choice this summer was Chicago, and it turned out to be the perfect fit for us. 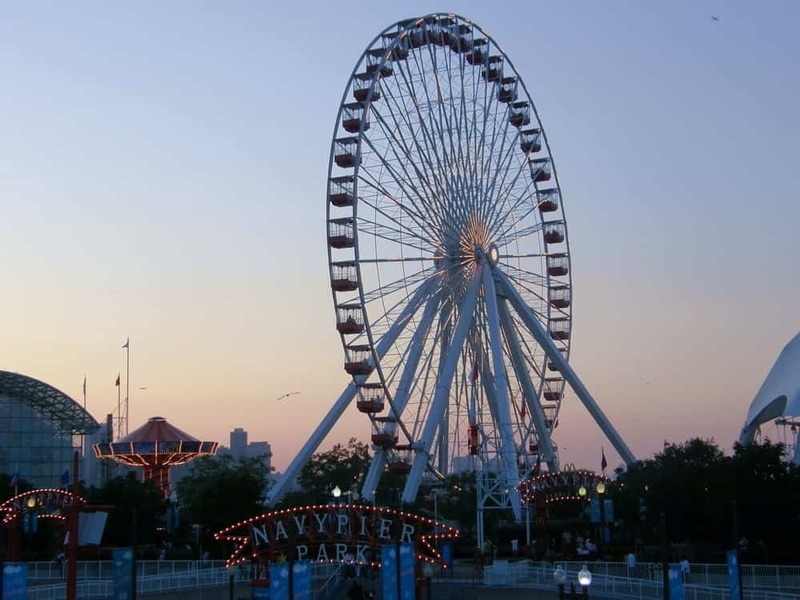 The weather was cool (it was early June), it’s walkable, there are plenty of activities, and Chicago’s pizza/hotdog/steak restaurant game is strong. 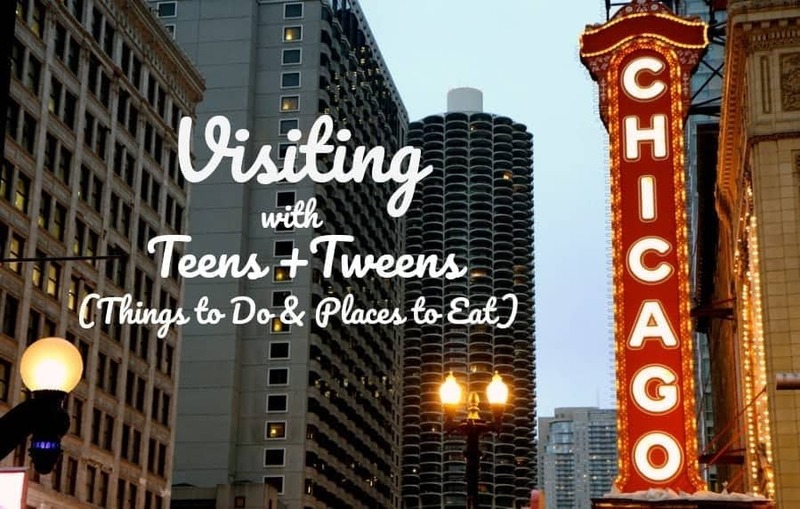 Here are my suggestions for what to do in this fun city with tweens and teens. The first thing you’ll need to do is decide where to stay. We chose the part of downtown Chicago that’s known as The Loop. Not only does this area contain tons of shopping, dining and well-known activities, it’s also walkable so you won’t need to pay for transportation or parking. The hotel options here are plentiful, with everything from luxury to not-so-luxury. The next thing to do is buy Go Chicago cards for your family. This pass allows you to visit either 3, 4, or 5 attractions and tours from 27 options. Not only do you save money this way, but some places have expedited entry for pass holders and the app is easier to use than paper tickets. A similar pass called Chicago CityPASS is also available. The Chicago River is hard to miss as it flows right through the middle of The Loop. You’ll see plenty of boat tour options, but the one we chose is called “Chicago’s Best 90-Min Architecture Boat Tour.” (They obviously have no self-esteem problems.) I wasn’t sure if the boys would enjoy this because looking at buildings isn’t their usual choice of activities, but they both definitely liked being on a big boat. It was actually relaxing to glide by places like the Wrigley Building and the Aqua Tower while listening to the guide tell us their history. We’ve been to plenty of art museums as a family, but the Art Institute is one of my favorites. 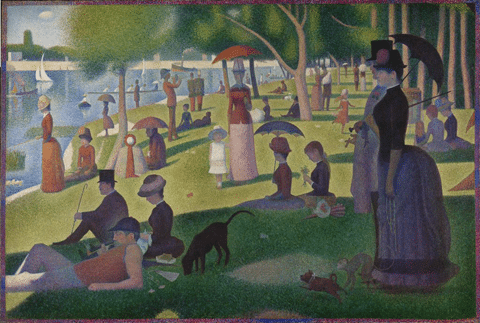 There’s the Georgia O’Keeffe, “Sunday In The Park With George,” the stunning Chagall windows, and so much more. The boys looking at art lasted longer than expected, which was a nice surprise. Then while my husband and I continued on, they found plenty of places to sit and use the free Wi-Fi. Win/win. Odds are that at most of your favorite comedic actors, like Tina Fey and John Belushi, got their start at this famous improv theater. All of us loved our night here, and laughed like crazy. A couple things to know: tickets to the “main stage shows” sell out early, so get yours a couple of weeks in advance. There’s no age limit, but the material is fairly adult. Pay for the closer-in seats or you’ll be too far from the stage. The show starts at 8pm, then there’s an improv session afterwards, so it may be a late night if you stay for all of it. So much fun. This memorable attraction is at the top of the tallest building in the Western Hemisphere. 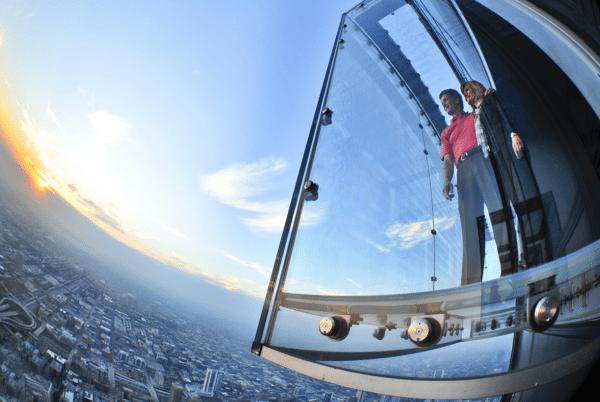 Not only do you get a 360 degree view of the city, you can step outside at 1,353 feet in the air on the Ledge’s glass box that extends out 4.3 feet from the Skydeck. A great photo op for sure. I suggest you get there early as the lines to go both up and down on the elevator can get pretty long. 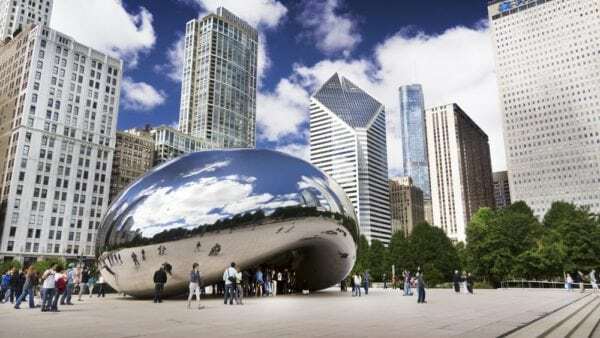 Chicago’s well known Millennium Park is in the Loop near Lake Michigan and the Art Institute. The famous Cloud Gate sculpture (aka The Bean) is here for your photo op, and so are a few other cool public art installations and fountains. There are plenty of concerts and events, so check the schedule. We had a great time after we rented their version of city bikes (only $3 each for 30 minutes) and rode through the park to The Navy Pier. We visited this famous entertainment and exposition center on a nice, sunny day and it was fun. It’s like a lot like a carnival, and very touristy, but the ferris wheel view is worth the visit for sure. Check their website for their many events and festivals. This sports-themed museum in the Water Tower mall was hands-down the favorite of my two sons. 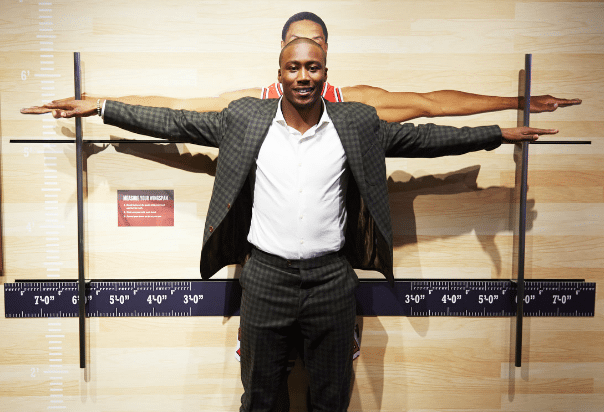 It highlights the athletes from Chicago and contains a lot of memorabilia, but it’s also super interactive with games that involve basketball, hockey and baseball. We spent a long time here, and the boys just loved it. Even better, tickets are only $10 for adults, and you get a $10 credit at the adjacent (and not bad) Harry Caray’s 7th Inning Stretch restaurant, so it’s…free. This interactive exhibit at the Museum of Broadcast Communications is perfect for fans of “Saturday Night Live.” You immediately become immersed in the creative process, starting with what happens each day of the week up until show day on Saturday night. Fans will be in heaven, interacting with sets like Jeopardy!, Wayne’s World and the Weekend Update desk. We all loved it, and my kids enjoyed learning how the show is put together. SNL is only in Chicago until the end of the year, so see it before it’s gone. Now, on to the places where we ate. Nothing on here is expensive or too gourmet, but these places were all reasonable, filling, and true to the Chicago taste. If you’re on a diet, you may want to avoid this landmark restaurant that opened in 1963 because you will definitely not lose any weight once you see the menu. With Chicago-style hot dogs, onion rings, pasta, dessert and more, this is the perfect place to take teenagers with a big appetite. The decor is fun, the restaurant is huge, and it’s very reasonably priced. Highly recommend. 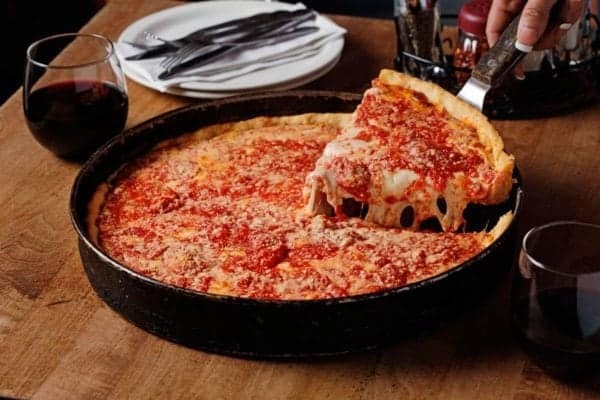 Chicago is famous for their deep dish pizza, and I heard from more than a few locals that Lou Malnati’s was the place to go. 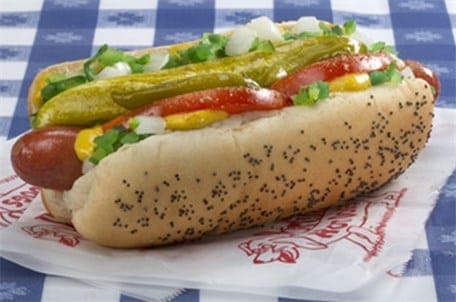 There are 52 locations in Chicago, so you won’t have trouble finding one. We all loved our deep dish pizza, and it filled us up for hours. Prices are reasonable, too. Plan to be there a while because it takes 30 minutes to make your pizza. 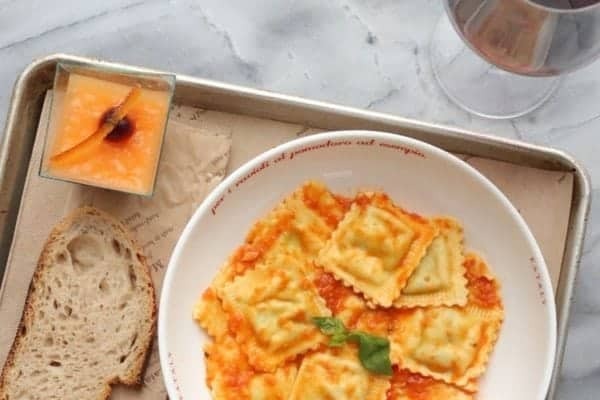 Eataly is a well-known Italian marketplace with restaurants, food and beverage counters, bakery, retail items, and a cooking school. Their Chicago outlet is right in The Loop, and when we visited it was packed with people, so we just walked around and looked at what they had to offer. But with so many options, it’s perfect for a family who may all want different things, including a glass of wine after a long day. 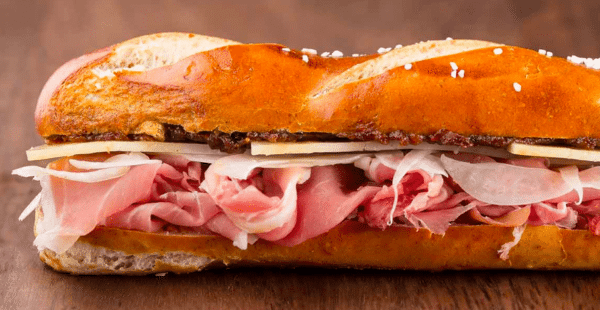 This gourmet sandwich shop that uses organic ingredients put on a pretzel bread has multiple locations throughout The Loop. We found it to be a great alternative when wanting something healthy and not too heavy. One night, we ordered online and walked the two blocks away from our hotel to pick it up so we could just stay in and have dinner. Perfect. My husband found this dive/restaurant on a list of “cheapest steak places in America,” which wasn’t really a ringing endorsement, but wow, was this place amazing. Located under El tracks, this well-worn, unassuming restaurant serves steak, pork chops, ribs and sides cafeteria-style with the priciest item being $23. You can get a 1/2 lb. chopped steak, baked potato, garlic bread and a chef’s salad for $8.59. And it’s good! The best part, however, was that we went on Friday night and an amazing Chicago blues band played. I could have stayed all night. If you’re headed to Chicago, have a great time! 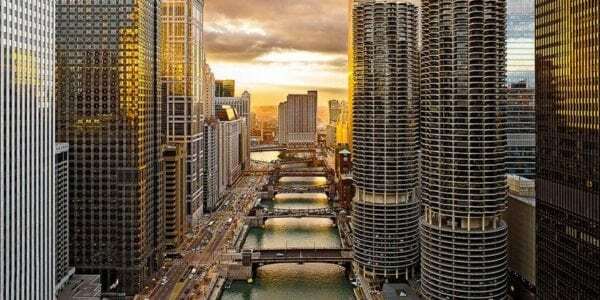 (You can also check out these fun things to do in Chicago!) And if there’s something we missed, let us know in the comments! A significantly cheaper alternative to the architecture tour is to take the Chicago Water Taxi – same views, none of the talking heads. The water taxi departs from Michigan Ave or the Riverwalk and runs down to Ping Tom Park in Chinatown. Hop off, get a bubble tea at Joy Yee Noodle in Chinatown, then take the red line (or the water taxi!) back downtown. Tickets are $5 for a one-way or $10 for a day of unlimited rides – compared to $47 for the Chicago Architecture Foundation boat tour.